In the late 1990s as web publishing tools open the door for non-technical users to post content, information, and participate in discussion threads, the interactive world of blogging was born. Prior to this period digital communities took multi-faceted forms including chat-rooms and electronic bulletin boards. As electronic tools have improved, it has allowed for the production of web articles, images, audio and video files to be systematically organized and posted in a webpage format that can be used by a much larger non-technical populace that are not trained in programming source code and algorithms. Blogs typically become popular by citation or affiliation. Citations are when other websites or an organization, cite or refer to an existing blog to point out a particular discussion or point of view. Affiliation is when an organization uses or groups a number of blogs for their desired purposes to help assist in promoting messages or ideas. Such grouping of blogs are known as blogrolls. With the popularity of blogging, many individuals and groups have taken the opportunity to create their own blog. In some cases there are blogs that are multi-authored, which can include media outlets, university think tanks and advocacy groups. In most cases blogging is inconsequential and exiguous - just the musings of a person that needs a literary outlet to their everyday happenings. In other cases, blogging is intently used to advance ideas, shape thoughts and advocate causes. It is within this interstice, the shaping of thoughts and advocating causes, that The Church of Jesus Christ of Latter-day Saints now finds itself and should be concerned. We all like blogs. We like the new found freedom in expressing ourselves and viewpoints to a mass audience either real or perceived. We like the idea that we have something important to say and that perhaps our position, our understanding, our worldview, our viewpoint matters. Perhaps our blogs will serve to help others to see a little clearly, improve upon their understanding, create a sense of community among like thinkers or just allow our intellect to shine a little brighter before our peers. No one would argue against the human need to be able to freely express oneself whether in art, sport or words. The publishing arm of the Church, Deseret Book, has seen a tremendous outgrowth of electronic media expression. One of the most prevalent manifestation of this electronic mass communication is the online magazine LDS Living. Within this realm of mass communication and within a narrow aperture, The Church of Jesus Christ of Latter-day Saints, have attracted through the accumulation of blogrolls, a number of bloggers - along with their affiliated websites. These bloggers have attached themselves to and dress themselves up as enlightened contributing authors to the advancement and cause of the threefold mission of the Church, but who in all actuality are authored by advocacy groups whose only intent is to shape the mass mind, to shape the thoughts of Latter-day Saints to their worldview and not for the cause of Christ or the Celestial law that He advocates. A small sampling of this can be shown from a plethora of examples. LDS Living has given voice to blogs that contain the writings of individuals and multi-author contributors that use alchemical symbols within their messages. One such blogger also chose to use a distasteful pun to name her blog. Some bloggers are even so bold as to name their blogs after sigils that are affiliated with talismans that are used for success and protection. Along with paying for prayers that are typically done at a well known and respected religious site that the payee can't personally visit. The greater the amount of the payment, the more prayers will be performed in their behalf. This modern form of indulgences is what historically influenced Catholicism during the Renaissance to do the same. These sigils are also linked to magic amulets, other types of ritual magic and casting of the evil eye. This is just a small sampling of what type of bloggers exist that LDS Living is using, who refer to themselves as members of the Church and contribute their time and thought into promoting their extra-biblical worldview in a way that seems Mormon friendly. The reality is that these blogrolls that are being used by the publishing arm of the Church, are the beginning stages of a spiritual type of black plague, wherein the mass distribution of these twilight words, phrases, topics and alchemical symbols, inject a mental virus that is implanted into the mind and psyche of member's of the Church. It's the age old alchemical concept of solve et coagula. The break-down of society and it's institutions and then rebuild them based on the alchemists objective and world view. A world view that believes that sodomite behavior is just part of the moral entropy of our advance age and should be Christianized. The moral equivalent of the scientific concept that all things run down and collapse into its natural or original state. The sprinkling of such ideas in the mass mind of the general membership of the Church through what in the technical world is deemed psycho-linguistics or what is probably more appropriately called in the Hermetic tradition as twilight language, sows seeds in the mass mind that remove the believer away from possessing an "eye single to the glory of God" to a new realm of relativism, wherein the believer holds the mind and will of their Creator on one hand and equally holds in due regard in their other hand, concepts that from their inception have been against God and organized religion. The very essence of the double-mind of which the apostle James warns against. A true Mormon, is a disciple of Christ, a disciple of Christ would never use a blog in the name of the Church for purposes outside the scope of the declaration Domine, sed nomini tuo da gloriam. In April 2000, Thomas S. Monson, who was then the 1st counselor in the First Presidency of The Church of Jesus Christ of Latter-day Saints, gave a talk entitled, Your Eternal Voyage. Wherein, Pres. Monson likens mortality to a sea, that must be "safely " sailed, guided by "that eternal mariner - even the great Jehovah." Pres. Monson then went on to describe a lesson from the biological world and the shipping industry to give emphasis to this concept. Pres. Monson taught the following: "To some it may seem strange to see ships of many nations loading and unloading cargo along the docks at Portland, Ore. That city is 100 miles from the ocean. Getting there involves a difficult, often turbulent passage over the bar guarding the Columbia River and a long trip up the Columbia and Willamette Rivers. "But ship captains like to tie up at Portland. They know that as their ships travel the seas, a curious saltwater shellfish called a barnacle fastens itself to the hull and stays there for the rest of its life, surrounding itself with a rocklike shell. As more and more [of these] barnacles attach themselves, they increase the ship's drag, slow its progress, decrease its efficiency. "Periodically, the ship must go into dry dock, where with great effort the barnacles are chiseled or scraped off. It's a difficult, expensive process that ties up the ship for days. "But not if the captain can get his ship to Portland. Barnacles can't live in fresh water. There, in the sweet, fresh waters of the Willamette or Columbia, the barnacles die and some fall away, while those that remain are easily removed. Thus, the ship returns to its task lightened and renewed. 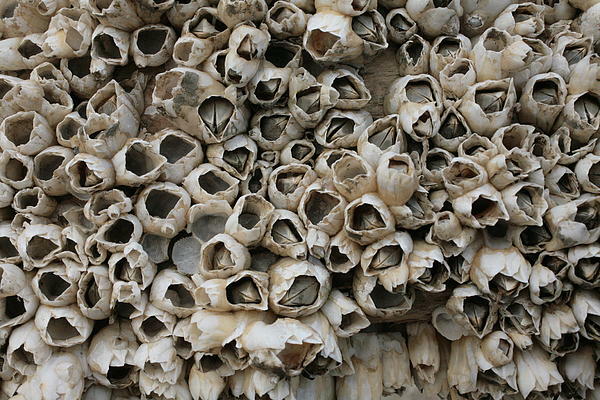 "Sins are like those barnacles. Hardly anyone goes through life without picking up some. They increase the drag, slow our progress, decrease our efficiency. Unrepented, building up one on another, they can eventually sink us. "In His infinite love and mercy, our Lord has provided a harbor where, through repentance, our barnacles fall away and are forgotten. With our souls lightened and renewed, we can go efficiently about our work and His." Prophetically, this real life story based upon maritime and biological realities, can not only be likened unto personal sins, but also for the church as a whole. The teachings of prophets have always been known to contain multiple meanings that need to be applied at all levels for the good of Israel. The Church of Jesus Christ of Latter-day Saints is like a great seafaring vessel. As it goes forth in its everyday duties in administering and advancing the cause of Christ, it picks up a saltwater shellfish known as a barnacle from time to time. These barnacles or blogs, attach themselves to the hull of the ship, the Church. As time goes by, more and more bloggers form, joining, and increasing their numbers. Their opinions that stem from outside the canon of Church doctrine, which are the philosophies of the world, are then dressed up with scriptural terms and ideas, which then only serve to weigh the Church down, increasing its drag. What remains to be seen is how the Lord will cleanse the hull of His ship, from these bloggers, that like the barnacles that attached to the hull of seafaring vessels are now attached to the hull of The Church of Jesus Christ of Latter-day Saints. The viewpoints, opinions, teachings and downright instruction, given by these ersatz teachers that call themselves bloggers, water down Church doctrine, nullifying the word of God and attaching ideas that were once considered the clarion call of the 1960s counter-culture revolution to the hull of Christ's ship, presenting those ideas as Mormonism. Continuing with Pres. Monson: "Remember how the captains of oceangoing vessels burdened by the weight of barnacles set a course to the fresh waters of the Columbia and Willamette Rivers to rid themselves of these impediments of progress? Let us, in our own lives and in our service in the Lord's work, shed the barnacles of doubt, laziness, fear, and sin by plying the living waters of the gospel of Jesus Christ. We know their names: faith, prayer, charity, obedience, and love-to identify but a few. The lighthouse of the Lord Jesus Christ marks the way. His beacon light will guide our course to celestial glory. True students of holy writ, that understand the dual nature of prophetic warnings, must agree that Pres. Monson's address concerning barnacles and their ill effect or impediment upon the course of the human soul, can and ought to be applied in a much grander scale concerning the church and those voices that have attached itself to it in the form of bloggers. These voices use their literary wits to sow seeds that they hope will sprout within a new generation of saints. Seeds that will turn the future Latter-day Saint into a centrist saint. A saint holding two opposing viewpoints simultaneously and championing them both. Viewing themselves as the most enlightened generation of Christians the world has known. Instilling within their discipleship the double-mind. A psychological paralysis of moral abulia.